India is bedecked in beautiful bridal attire with her beaded crown of Kashmir and her sparkling bangles of Gujarat and Arunachal Pradesh, heavily embroidered sari of Madhya Pradesh and her dazzling feet, flaunting the jewelled anklet of South India. This anklet comprises of four precious stones- Andhra Pradesh, Kerala, Tamil Nadu, Karnataka and Andaman & Nicobar Islands. The adornment is caressed by the four rivers - Godavari, Tungabhadra, Krishna and Kaveri. Obviously, these words describe the India Travel Guide in a phenomenal manner. South India Tour is a lifetime experience which will surely take mention in your diary of dream visits. There are several Inbound Travel Agencies in India which can make this dream of yours, come true. The picturesque beauty, exquisite architecture, breath-taking beaches and sacred temples make South India a complete travel package. As you will slowly float over the Kerala backwaters on the traditional houseboat called Kettuvallam, you will be mesmerised with the enthralling beauty that has been bestowed upon this part of the country. Apart from the visual appeal, the unique taste of South Indian cuisine also makes it popular among the travellers. Also known as God's own country, Kerala is blessed with lush vegetation, tranquil beaches, stunning mountains, hill stations, backwaters, wildlife and bird sanctuary, forts and palaces, pilgrim centres and festivals. It has total 44 rivers and one of the highest peaks of South India, Anamudi. Our tour packages like Royal Temple Tour, Wildlife Tour of South India, Enchanting Kerala and Backwaters Beach Tours in Kerala are the best ways to explore Kerala. 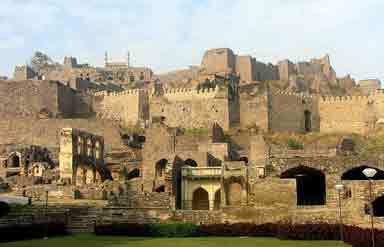 Do make sure that you get all these necessary details from your India Inbound Tour Operators when before you pack up. The land is traditionally rich in handicrafts. Owing to the abundance of forests and coconut groves in Kerala, wood, jute, coir and coconut shell traditionally remain the base of such handicrafts. A whole range of souvenirs, curios and trinkets are made from these. Artefacts made of teak; deep-wine rosewood and fragrant sandalwood are also very popular here. Normally, the best travel companies in India let you know about these details in their itinerary. The state celebrates festivals like Onam, Nehru Cup snake-boat race, Ashtamudi art and craft festival. Air: Kochi International Airport, Thiruvananthapuram Airport and Kozhikode International Airport are the three major airports in the state. Rail: Thiruvananthapuram and Kochi handle the lion's share of Kerala's rail traffic. Road: State owned and private buses ply within and from the nearby states to Kerala. It is a place with subtle charms, quiet traditions and a long history of spiritual and religious harmony. The place is a cocktail of everything nice and its Hyderabadi cuisine is world renowned. Ask your India Travel Agent to take you to the best of tourist attractions in Andhra Pradesh and have a unique story to tell. Kalamkari and Bidri work, Buddhist Nirmal paintings and buffalo hide puppet are the specialities of Andhra Pradesh. Sankranti and Ugadi are some of the festivals celebrated here with zeal. Air: Hyderabad, Visakhapatnam and Tirupati have airports connecting it to Indian and European cities. Rail: Hyderabad, Visakhapatnam, Secunderabad and Vijaywada are the major rail heads of Andhra Pradesh. Road: State owned and private buses are available to commute within and nearby the state. You can also hire cab or taxi to move in the state. It is a tapestry of colours, cultures, traditions, flavours and heart throbbing elegance. The land of music and dance, this place is worth visiting for the history buffs, and wildlife enthusiasts. 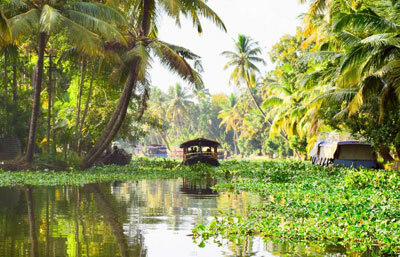 Our tour pack called best of two cultures is a combo trip to both Kerala and Karnataka. Bidriware is crafted into ornamental bowls, boxes, hookahs, among other things. Mysore is famous for its ittra, a sweet smelling perfumes extracted from flowers, sandalwood, and rosewood. Kali Poldu festival and Mysore Dasara festival are some of the festivals celebrated here. Air: Bangalore Airport is the main airport in Karnataka. Rail: Bangalore, Mysore and Mangalore are the major rail heads of Karnataka connecting it to almost all the major Indian Cities. Road: The state has an excellent road connectivity with both public and private buses running on its roads. Referred to as 'Land of temples', Tamil Nadu is a state proud of its culture and tradition. Pristine beaches, mists enveloped hill tops and lush green lagoon are the part of landscape of Tamil Nadu. It is a living museum explored, experienced and enjoyed by tourists. The state is famous for its cotton fabrics of Madurai, handloom silk of Paddukotai and Kanyakumari's jewellery. Pongal and Mammalapuram dance festival are the famous festivals of Tamil Nadu. Air: Almost all the cities here have their airports. Chennai International Airport receives both international and domestic flights. Rail: The major rail heads are Tiruchirapalli, Chennai, Madurai and Coimbatore. Road: Excellent road connectivity with State owned and private buses plying through the broad roads of Tamil Nadu. Historically called as 'Kala Pani', Andaman and Nicobar Islands are know for being the tropical delight for tourists from all over the world. The powder white beaches, adventure activities, sun-bathing, rocks and islets and spot for catching rare migratory birds, these islands have a phenomenal touch to their ambience. The sightseeing options here include Fisheries Museum, Marine Museum,Marine Museum, Aberdeen Bazaar, Cellular Jail and Port Blair. Nicobari mats, Ash trays, Coconut shell lamps are the few important shopping attractions in Andaman and Nicobar Islands. Island Tourism Festival, often celebrated in the months of December and February, is one of the most sought after festival in Andaman and Nicobar Islands. Travelllers need to arrive at Port Blair before engaging on different ferries for the other islands.